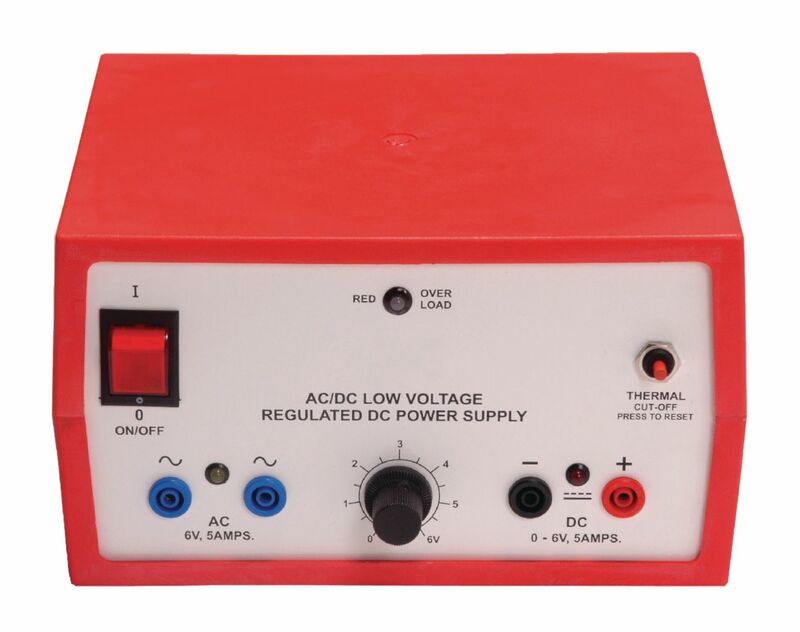 This power supply is earthed and tested for high-voltage insulation and leakage tests. Two independent outputs, 6VAC and 0–6VDC, can be used simultaneously. Each output is regulated, continuously variable by means of a knob in the center of the front panel, and dually calibrated as per the markings provided.